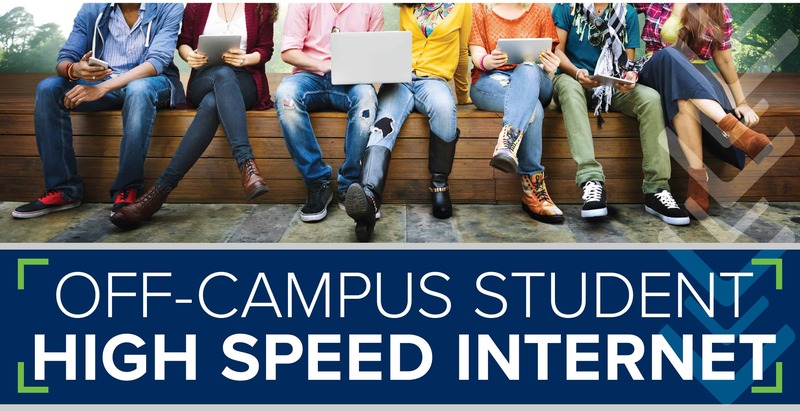 Amazingly Affordable Student Internet Specials! Perfect if you don’t need anything but access to the Internet. Choose Higher Speeds for multi-device users and to stream favorite videos, movies, gaming and TV shows via Netflix, YouTube, Hulu, SlingTV and more! Watch the best of live TV with Sling TV. Sign up here to start watching! Looking for the perfect computer, electronic or accessory for back to school? Shop local at the Netsync Store – just a short drive from campus! *Activation fee of $29.95. If purchasing two academic semesters up front, $29.95 fee will be waived. Access only high speed internet. Wireless modem included. $29.95 activation fee. Credit Card Required. 24/7/365 technical support.